LAMU, Keyna – Aisha Tiro Bahero, 30, knows what it means to stare death in the face. Three years ago, while pregnant with her fifth child, she began to haemorrhage dangerously. “I couldn’t stop the bleeding. No one could,” she said. But there were no health facilities on the idyllic tropical island where she lived – Kiwayuu, part of the Lamu Archipelago off the northern coast of Kenya. The nearest hospital was an hour away by motorboat, over wild ocean waves. 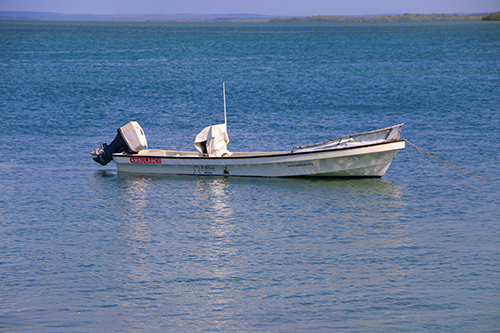 Access to health care had long been a problem for Kiwayuu residents. The island had a medical dispensary, but no proper clinic. To reach antenatal care, expectant mothers would have to travel all the way to Lamu Island. If a motorboat were not available, the trip would take seven hours by dhow, the traditional sailboat. “I got married when I was barely 18 years old, and I delivered my first child at home,” said Ms. Bahero. Her three subsequent deliveries also took place at home. The community relied heavily on the services of traditional birth attendants, who had limited skills and knowledge. “In the event of pregnancy-related complications, or even maternal deaths, we would conclude that it was God’s will,” she explained. When she went into labour with her fifth child, she thought she knew what to expect. But it gradually became clear something was wrong. “As I went into labour, I began to bleed profusely,” she recalled. The traditional birth attendant did not know what to do. The only nurse at the local dispensary was called. Her verdict came quickly: Ms. Bahero was suffering a life-threatening complication and required urgent medical attention. Yet Ms. Bahero’s nightmare was only beginning. 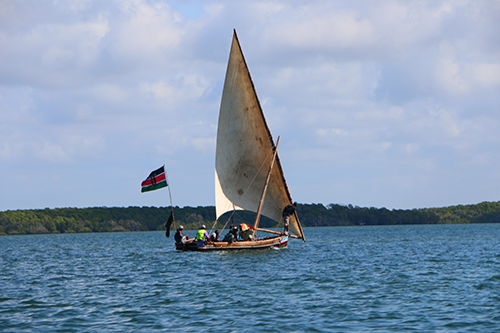 She was rushed to a motorboat, and the captain set course for Lamu. But the waters were rough, rocking and tossing the vessel as Ms. Bahero continued her painful and difficult labour. She bled the whole time. After 30 minutes, she delivered the baby. When they finally arrived at King Fahad County Referral Hospital, on Lamu Island, she was treated for haemorrhage. The baby was diagnosed with low birth weight from intrauterine growth restriction. It is possible that malnutrition or anaemia contributed to these conditions, says Ms. Bahero, who is now a community health worker. Lack of antenatal care could have cost them their lives. Around the world, pregnancy and childbirth complications kill one woman every two minutes. A majority of these women die from causes that are entirely preventable. 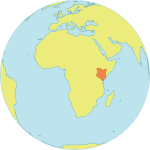 In Kenya, the situation is especially bad: a woman’s lifetime risk of dying from pregnancy-related causes is 1 in 42. By comparison, in Spain, it is 1 in 14,700. Increasing access to proper reproductive health care – including antenatal care, skilled birth attendance and safe delivery services – could eliminate these preventable deaths. The local government and partners are working to do just that. Two years ago, a health facility was established in Kiwayuu, serving the island’s 600 residents. And UNFPA has procured maternal and newborn health equipment and medicines for the Kiwayuu Dispensary. Family planning supplies – which lower the incidence of pregnancy-related death and disability – have also been delivered to the dispensary. UNFPA has also trained health workers to provide emergency obstetric and newborn care. Ms. Bahero is one of those health workers. 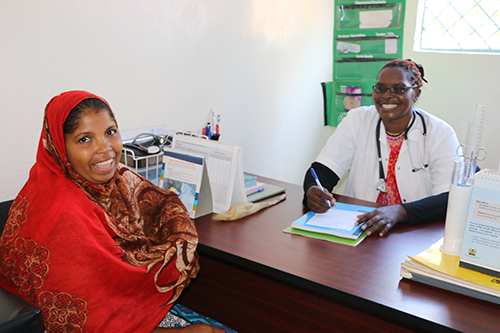 “With support from UNFPA, I have been trained as a community health volunteer,” she said.